THE LAST thing anyone needs when they are in the middle of moving house is another old car, especially if said old car doesn’t run – and hasn’t run since the days of Reagan and Thatcher – and yet, at the exact moment the movers were collecting boxes and relocating furniture from my old house to my new one, I was eagerly peeling off hundred bills and handing them to an elderly lady for another old car that didn’t run – and hadn’t since the days of Reagan and Thatcher. What provoked this irrational behaviour, of course, is not just any old car, but a classic British sports car. A Triumph. Specifically, a rare fuel-injected 1981 TR7, one of the last ever made. With only 712 total original miles, this particular TR must be one of the lowest mileage Triumphs left on the planet that is not in a museum. How could I, a lifelong admirer of Coventry’s second-most famous marque, resist the opportunity to own this TR, especially since some inspired bargaining reduced the asking price from $2500 to just $1250? With the car came every scrap of paperwork one could hope for. The most telling is the dealer sales order which details the price of the car. 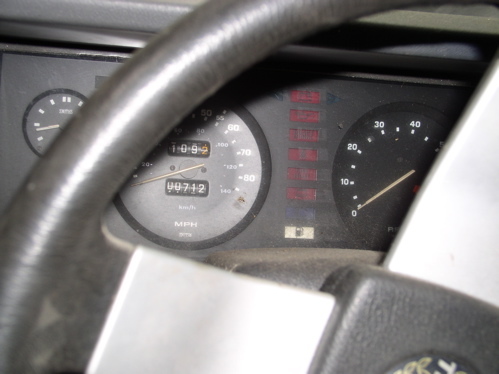 It’s those numbers that help to explain why, even after Triumph and BL invested major development money to upgrade the fuel system from twin Zenith Strombergs to Bosch fuel injection and installed a nicer interior, the TR7 still did not sell in large enough numbers to justify its existence – on 28 May 1982, Mr. Andrew Wansach, handed over the princely sum of $13,992 for the TR7. He ordered everything you could want in the car, including air con. Still, for that kind of money, any number of American muscle cars, such the Ford Mustang, Chevrolet Camaro and Pontiac Firebird — all with V8 engines – could be had for less. Worse than the high price was the interest rate on the loan, 16.5 per cent. With interest, then, the TR’s total purchase price was an astounding $17,350.88. That’s Chevrolet Corvette money. 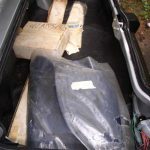 Extracting the dusty, dirty TR7 from its narrow storage facility when it had been entombed along with boxes of unopened dolls, model aeroplanes and other artefacts from a life spent collecting things, required the business end of a powerful winch. Two of the original Goodyear tyres were not just deflated, but rotted halfway off the rims. As the TR emerged into the sunlight, I felt a little like Indiana Jones unearthing some rare and coveted artefact. Once outside, I was able to have a good look at the TR. 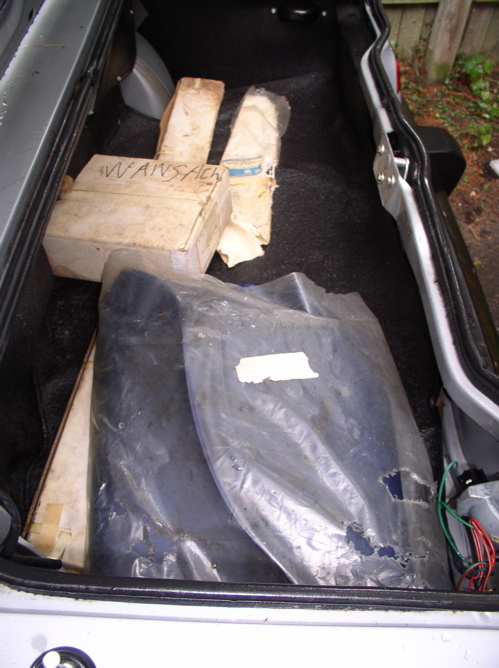 The boot contained some interesting items that had never been installed by the selling dealer. There was the original AM-FM radio, still in the unopened British Leyland box. Also in the original packages: a stainless steel BL luggage rack for the boot lid, door edge guards and two sets of heavy rubber floor mats with the Standard-Triumph logo. 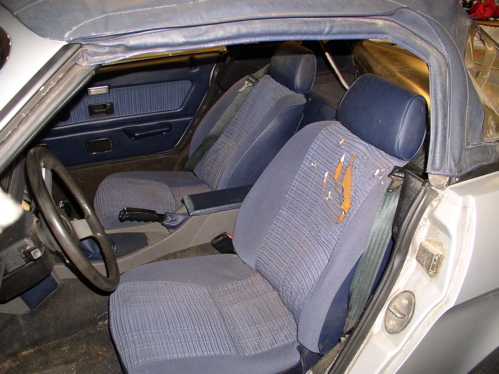 The original convertible top cover had never been removed from its bag. Mine were the first hands since the car left Solihull to touch the spare tire and jack. That was the end of the pleasant surprises, however. 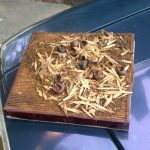 Over the years, critters nested and nestled all over the TR, leaving behind debris and damage. The driver’s seat had been chewed. Shells of chestnuts and acorns, twigs, leaves, grass and other botanical objects were in just about every crack, crevice and corner of the TR. The body had suffered a few small dents during its long imprisonment. Still, you could see that with a good cleaning, the TR would be very respectable. Anyway, an hour after the money and ownership papers changed hands, the TR7 was deposited in the driveway of my old house. 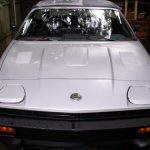 Two days later, with my new house up and running, I started down that long road of bringing the TR7 back to life.The engine would not turn over and so I removed the spark plugs and rocker cover and marinated the engine in Marvel Mystery Oil. Three days later, the engine was free. 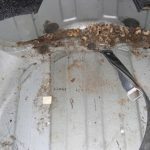 Using a strong wet-dry shop vacuum cleaner, I cleared the TR of its rodent faeces and other natural compost, including the bodies of four deceased mice. 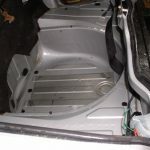 Then I washed down the dash and interior, cleaned the boot and gave the rest of the car a bath with warm, soapy water. As I expected, the TR7 cleaned up well. Now it was time to focus on the mechanicals. I connected up a battery to see what would work and what wouldn’t. To my great surprise, there was not so much as a single burned out light bulb in the entire car. Everything worked just as it should, including the annoying federally mandated door buzzer which squawks at you if the key is in the ignition while the driver’s door is open. Curiously, the relay for the fuel injection system had been unscrewed and was dangling below the cubby box. 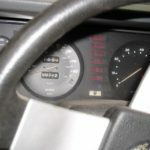 The fuel injection system, a Bosch L-Jetronic affair, is generally very reliable but who can say what effect 25 years of dormancy will have on the best of German engineering? I took off the air filter, disconnected the fuel line and tried the electric fuel pump. It didn’t work. I switched the fuel injection relay for a spare leftover from my TR8 EFi conversion and within minutes the fuel pump was humming quietly and pumping brown, smelly goo from the tank. Seven gallons later the tank was empty. In went fresh gas for a flush of the system. A compression test started off with encouraging results. Cylinders one and two tested at 160 pounds. Number three sported a worrying 130 pounds but number four showed only 30 pounds so I know the TR has either a blown head gasket or needs rings or valves. I have driven a TR7 with three cylinders so I knew it would run. Back in went the spark plugs. I hit the key and was shocked beyond belief when, after a loud backfire, the engine started immediately. The clutch plate had frozen to the flywheel, so I couldn’t put the car in gear but I was eventually able to break it free. With it running just well enough, the TR7 limped into the garage and that’s where she stands today. In the coming weeks, the cylinder head will come off. If the bores are in good shape, the 8.0:1 compression USA pistons will give way to some proper UK market high compression pistons. While we are lucky to have gotten fuel injection on the TR7 and TR8, this didn’t do anything for power. 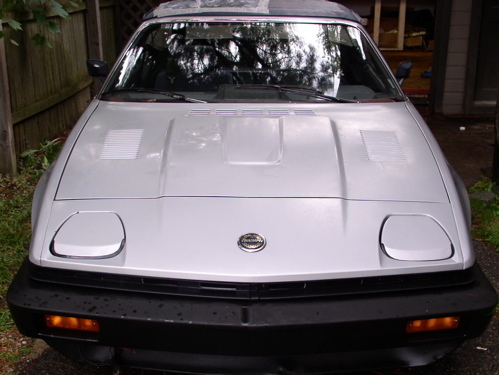 The 1981 TR7 injection is rated at a measly 88.9hp. The UK pistons should see power safely over 100hp. I also plan to install a sports exhaust. Otherwise, no other modifications are planned. 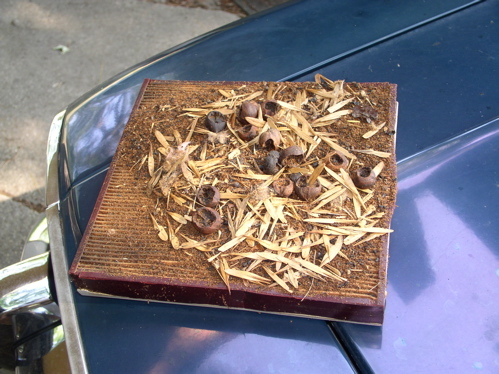 Airfilter: The original air filter did its job. None of this mess found its way into the fuel system. The boot cleaned up well. A remarkable find. You should use her, sparingly though… She needs her time in the light. Am I alone in not knowing about the Bosch-injected Slant-Four? Another shockingly futile effort given that the O-Series installation was being readied, and the Slant Four was doomed. If the BL management had put together a coherent engine strategy, they could have had two or three globally compliant engines, rather than the shambles which prevailed until the K-Series arrived. Amazing, well done Richard! Good luck with the car. I would have thought it’s the headgasket – the original anti-freeze will have attacked the gasket. I would, though, soak the bores a little longer – a diesel/petrol mix works well with a little oil first! Were the fuel-injected cars America only and can the parts be obtained? You didn’t say why it had only done 712 miles? 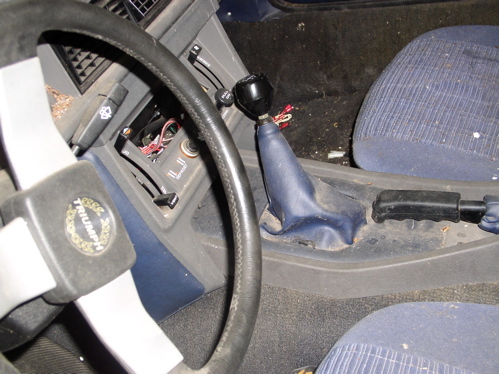 Did the original owner fall ill or did he just not like driving it? I read your posts here with a combination of nostalgia and envy. Any time you feel it’s time to send one of your wonderful finds for ‘retirement’ down in warm, sunny Florida, please get in touch! In the meantime, I’m GLUED to your posts – every one’s an absolute GEM! The original owner did get sick. He died in 1985. The lady I bought the car from, his wife, had bad knees and could not work the clutch. Instead of selling the car, they put it in storage. That’s the story I got, anyway. Thanks for the kind words. What can I say? I love these cars. They have more character than the whole lot of Japanese cars put together. Maybe I am crazy, but the TR7 and TR8 are, to me, iconic designs of the ’70s. As a boy growing up, I saw those awesome commercials on TV proclaiming the TR7 as “The Shape of Things to Come” and they just did it for me – and still do. A fantastic find, I’m very envious (particularly as it cost less than my beaten up old Jeep!) – if anyone will give the car the attention it needs, you will. Looking forward to more pictures of this one! 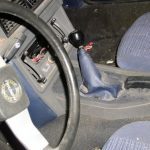 Is it possible that the valves stuck open given the amount of time the car’s been immobile? Certainly an amazing find. It’s great too that time does appear to have been kind to the car in terms of the metalwork. It is a shame, though, that it’s a strangled injection version – part of me would want to leave it original but it’s soooo down on power that I can totally understand why you’d want to fit something more befitting the car. The price new is what really grabbed me though. That is serious money – in today’s money that would be just insanity. It never ceases to amaze me how cheap cars are today in the US – in real terms prices must have fallen. I’m planning a holiday to Detroit (yes, I did say holiday) next year for the Motor Show so perhaps I’ll see it whizzing around the downtown sometime? A few months ago there were two (yes, two) brand new yes, BRAND NEW, never used or registered TR7s in Switzerland. The same people have still got an Austin Allegro and a Princess 2200 Wedge in the same condition. Anyway, totally agreed: an amazing find! Thanks, Richard. 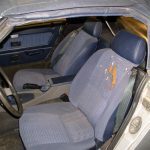 That’s a really sad story – in which case you must enjoy the car as much as is practical, in tribute to its original owner! It’s amazing how people store good cars away when they stop driving rather than sell them on. I bet you are glad they did in this case though. A brilliant find. 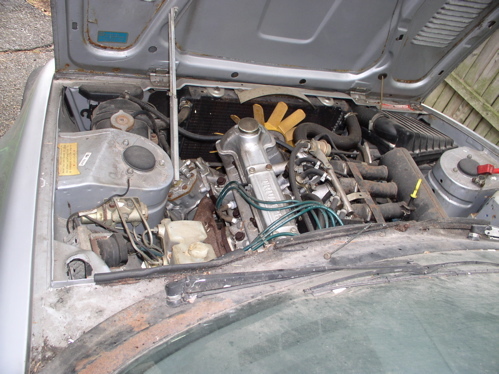 I had two Saab 99s with the 1850 engine and one was weeping coolant from the head as I sold it. I think Saab’s 2 litre engine sorted out the silly angled stud bolts with a more conventional and hence reliable system. 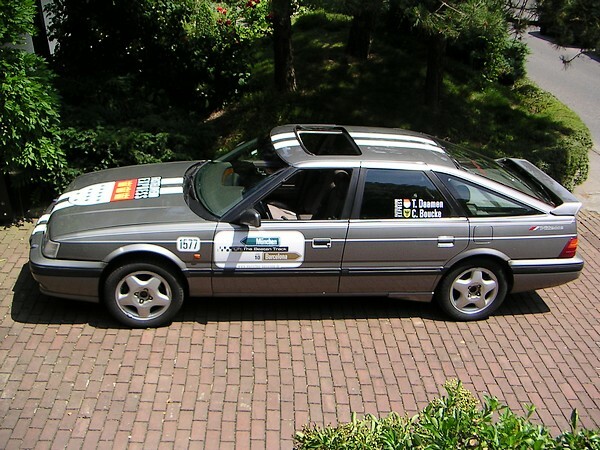 Japanese cars get a bad press – they sent the boring ones to Europe and the States! I was amazed at the cars I saw there which I had never seen over here. Have a look at the Goo website and see for yourself! What are the chances of finding a spare inlet manifold for one of these? The rest of the EFi hardware should be findable. I fancy fitting injection to an 1850 Dolly now! Spare TR7 injection manifolds are still available here new in the USA. Try Victoria British. I think they cost about $85. The injectors, fuel pump and all sensors are common Bosch parts. The computer you can get from Rimmers. 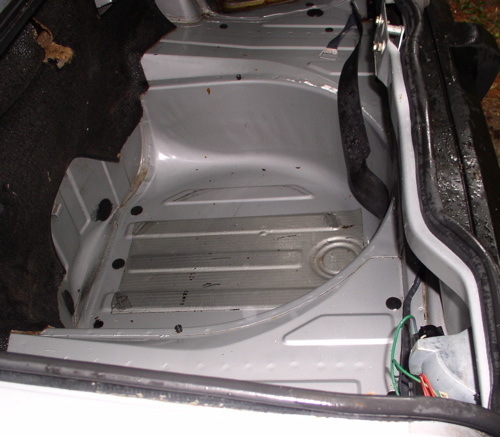 What will trip you up is the wiring harness, some brackets and the plenum chamber. 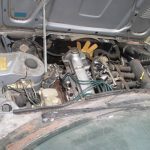 Best patrol eBay USA for a complete TR7 injection system, which sells usually for between $250-$400 and just buy that. Lastly, you will need to modify the fuel tank to incorporate a swirl pot and a return line. You should know the injection system does nothing for performance, but adds total and complete reliability, rock steady idle, much lower maintenance, silken smoothness and easier revving at higher RPMs. I always feel sorry for cars that are locked away in garages or museums and not used. They end up as some kind of lifeless ornament. Caistor Castle Car Collection is one of the largest Private Collections in the UK. The cars are bought by the wealthy owner, drained of fluids and put on blocks forever. Never started, never used – just dusted down daily by a team of guards. It was like a graveyard of fabulous cars including many cars with delivery mileage, first/last cars off the production line from the 1800s to 2000. I felt quite depressed after I visited – it was a sorry end for living breathing machines. It was if they were all lined up awaiting a new home, like a old dog in the pound, but they were in prison and the key had been thrown away. I hope you get your great TR7 on the road and let other people see it at shows or at the Mall. Use it, tinker with it, polish it and have fun in it ! I have a soft spot for TR7s – the much derided side slash is now very fashionable. Ford have been doing it for ages with the ‘Edge Look’ on cars like the first Focus and Cougar models etc. The Lynx models would have been interesting and Tony Pond’s TR8 Rally car looks fantastic on those ultra wide Minilites! PS: Just think, if the TR8 had evolved it may have ended up with the big 4.6 version of the Rover V8 or even, at the very least, the 800 Vitesse T16 engine! The current Seat Leon reverses the same detail. The TR7 is still a fantastic looking car! The TR7’s one of those few cars that seemed to have come full circle in the styling stakes. It almost seems a given that most new car designs nowadays must have a bit of ‘shock and awe’ styling, which looks good on some cars like the Leon but horrid on others. Harris Mann was a very forward-thinking designer but I don’t think we were ready for him in the ’70s. Well done Richard, a fantastic find. Wishing you all the best in making a happy ending to a sad story. Update: The cylinder head is off. Three of the four cylinders are in fine shape. #4 is a bit rough and will require extensive honing to get a smooth finish. I think the car may have suffered a blown head gasket on #4. The car never received any service after it left the dealer. It still had the original oil filter in it. The head bolts/nuts were not retorqued and the ones around #4 were pretty loose. 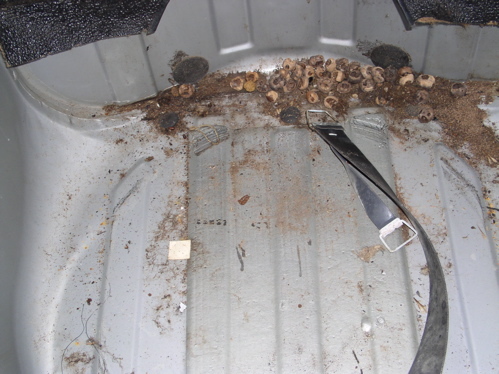 There was no coolant in the car, so none of the water passages were clogged. I bought a new set of high compression pistons on eBay UK and will install those and put it back together. The head is out getting checked for straightness. It really came apart well: no broken nuts or bolts. My hope is to have the car roadworthy by winter. I am having so much fun bringing this one back to life. Thanks everyone for your comments. Absolutely bloody amazing stuff. I look forward to each and every update of this ‘barn find’. Fumf, there is quite a bit of technical analysis of the fuel-injected Slant 4 and its proposed replacement, the O-series, in David Knowles’ excellent TR7 book ‘The Untold Story’. Contributors are Canley engineers and our-man-in-the-States, Richard Truett. The book’s commonly available for just a tenner new and well worth owning. I always loved the TR7 as a kid. I’ve read your pieces on the website for a while now and I must confess I think you rock! Look after this baby – she deserves to be driven and cherished for ever! Richard, you are very lucky and this is a fantastic find. I’ve been doing up my TR7 for 2 and a half years and am slowly getting there. They are great to drive but upgrade the brakes! Lee.